Harpo was established in Trieste, Italy, in 1897. 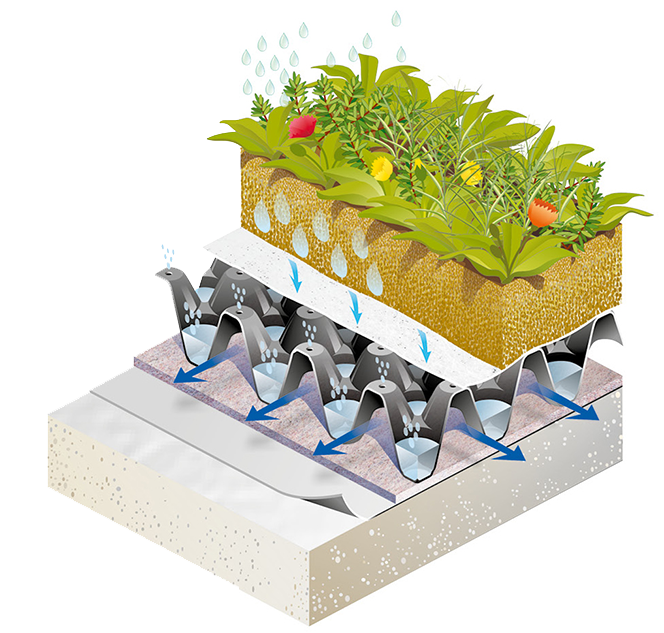 Following Harpo’s centenary tradition Harpo verdepensile division offers ideal effective solutions for high performance green roofing systems. To develop high performance green roofing systems Harpo cooperates with the best Italian Universities in the botanical and engineering fields. Thanks to constant research and to the technical support to architects, designers and professional installers, Harpo verdepensile delivers innovative solutions which give high performance results in terms of economic and environmental benefits developed to offer the best growth conditions to vegetation and at the same time saving irrigation water, fertilizers and maintenance operations. We offer ideal technical performances concerning energy saving, low thickness and lightness of the system, passive cooling in summer and rainwater management.